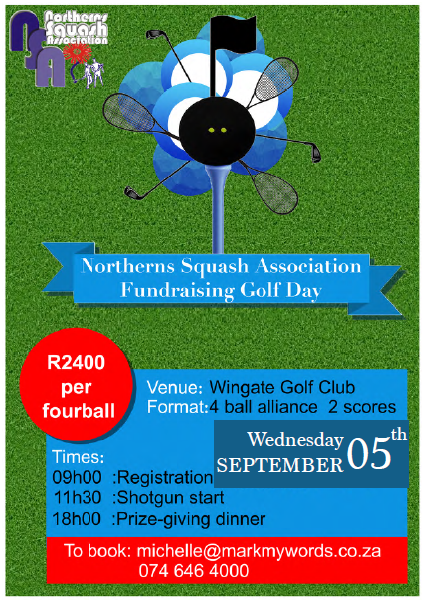 Time to swap racquets for clubs, double dot for dimples and join your fellow clubs for a day of Fades, Hooks, Duffs, Fresh airs, Sandy’s and perhaps a Hole-in-One. Help raise funds for our Jarvis / Kaplan Cup Squads. Please place the posters and entries in the clubs. 36 x 4-balls is the target …. This entry was posted in News, NMSA - Masters, NSA. Bookmark the permalink.